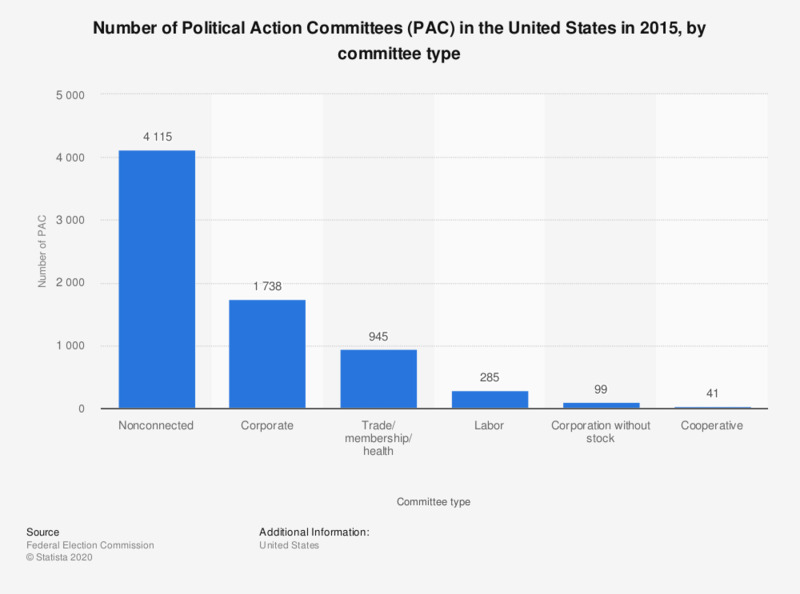 This graph shows the number of Political Action Committees (PACs) active in the United States in 2015, distinguished by committee type. In 2015, there were total 1,738 active corporate political active committees in the United States. A Political Action Committee is a private group, organized to elect political candidates or to advance the outcome of a political issue or legislation.